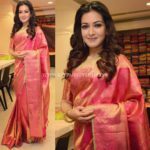 Home Fashion This Week Celebrity Shows How To Rock in Simple Sarees! Do you know what is the biggest challenge for any saree lover? 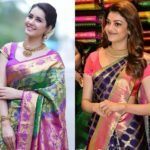 Choice of saree color? No no. In fact, most of the time fashion girls struggle in perfecting a simple saree look. Yes, some sarees are too plain and void of anything exciting going on them, so it gets really tricky to style them. You don’t want to look boring on that bland saree right? But that’s what you get, when the saree itself is too ordinary to get anyone interested. So how can you overcome that? 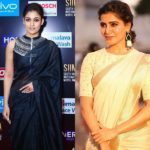 Today we have three celebs whose latest saree style proved how important it is to style a saree more than the choice of saree itself. All the three wore down-to-earth drapes, but look uber cool in them. How? By making other options like a choice of necklace, a chic sunglass or a stylish blouse do the needed balance in the overall look. You know what? 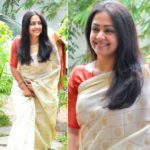 It completely transformed their saree style. Scroll ahead and see these voguish women by yourself and we are sure they will surprise you! It’s the antique neckpiece and the matching cocktail ring that does the magic on Rashi Khanna. Seeing Tejaswi Madivada, take a note that, silver jewelry and a modish sunglass can even perk up dullest of saree color. When saree is too simple to catch others attention, you now know how to choose your blouse! 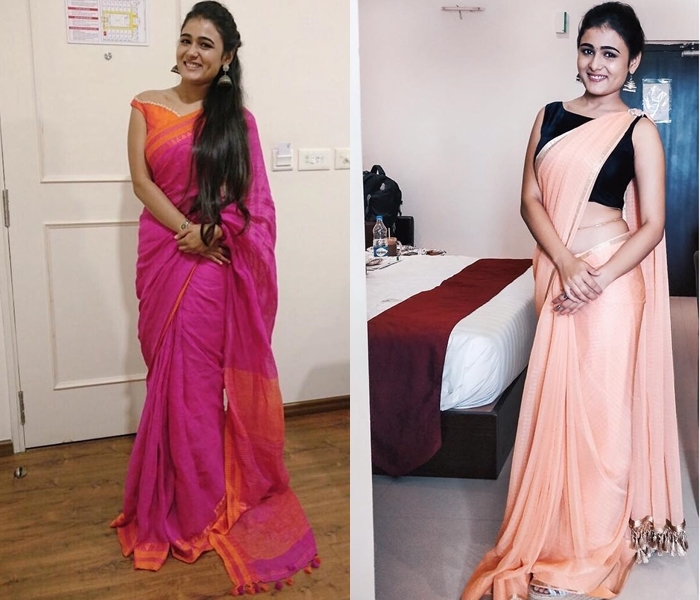 See Shalini Pandey for the visual proof. We hope you gathered some ideas on how to spice up your boring sarees. Did you by any chance notice that all three ladies opted by silver accessories? On a completely unrelated note, we want to remind you that please do collect some statement silver jewellery which is trending crazy this year.